When you are considering the ways in which you could keep up on your home cleaning without having to commit to a contract cleaning service, you may want to consider our one-off cleaning service in Bounds Green. There are a great many different cleaners on our books, all of whom are able to give you an excellent cleaning service, and ready to ensure that there is nothing that could go wrong with the job. There are many people in London who are simply too busy to get all of their cleaning done all of the time, so there is no harm in having a one-off cleaning service come in and ensure that your place looks the best that it possibly could. This kind of work ensures that there is never a point at which you come home from a busy day at work to find the house smelly and dust ridden. Instead, you come home to a beautiful place and you are able to put your feet up or play with the children, because you know that our one-off cleaning experts within N11 area have taken care of everything. We are proud of our commitment to service to people in the area, and aim to carry on doing so. Give us at One-Off Cleaning a call on 020 3397 3282 for more information on how we can help you with our one-off spring cleaning service. Bounds Green is a town in London that is part of the Haringey borough. The area is serviced by the Bounds Green tube station on the Piccadilly line, which gives it excellent access to the rest of London, through the centre via Leicester Square, and onwards. For mainline travel, the Bowes Park station is nearby, which offers easy connections to Kings Cross St Pancreas, which in turn connects to the rest of England and of course mainland Europe. 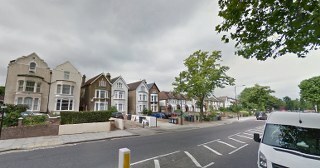 Whilst the area is now a mostly residential one, with a variety of different housing and architecture, as is found across most of London, the region was historically a place for travelers to rest, given its proximity to turnpike lane. Those looking for an actual green may be slightly disappointed that there is not more of parkland present, but parts of the old Bounds Green farm is left, bisected by the Bounds Green road in N11. For the best cleaning service in Bounds Green, you really do need to get in touch with One-Off Cleaning. Many people in the area have found that there are many advantages to getting a cleaner in on a one-off basis, rather than worrying about the variety of issues that come with a contract service. Our one-off cleaners in Bounds Green are sure to make your life easier, as they have the training and experience to tackle a variety of stains and surfaces around the house, so that you don’t have to! The fact of the matter is that there is nothing worse than feeling trapped by the cleaning, especially having had a long day in the office! Call us on 020 3397 3282 to hear of our extensive range of different offers and rates. 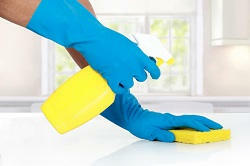 We can make our one-off cleaning service in N11 area the best way to ensure that your home is always looking its best. Spring cleaning need not be the hassle that it can be, especially having no time away from work in which to do so. Simply get in touch with us and we can make your life that little bit easier in the long run!